Omiyage Blogs: New Washi Tape! When we were restocking all our bestselling tapes, we just had to sneak a few new patterns and colours into the order! We try to make sure our tape selection includes something for everyone, whether you're looking for sophisticated patterns like Japanese Yagasuri, classic Houndstooth and simple Grids. 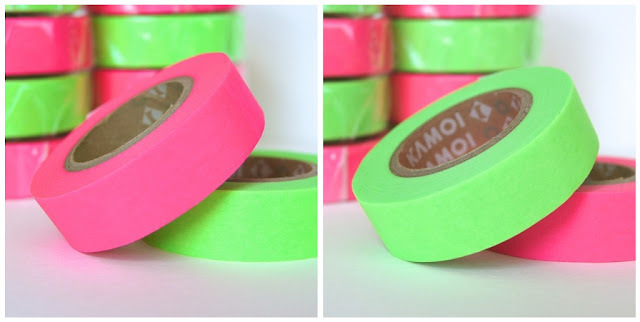 Or even if you're in the market for something fun and trendy like NEON! Nothing says summer fun like Shocking Pink and Shocking Green! I'm loving that neon tape!